TAIPEI, Taiwan, June 4, 2015 ? ?Routers, the woeful wallflowers of computer components that are usually forsaken after the initial setup, only to be brought out for some violent shaking or tapping whenever the WiFi signals are unstable. As a matter of fact, routers could be way interesting than you can imagine. For instance, the first router of ASRock Gaming ? ?G10 is capable of doing much more than merely providing WiFi connections. 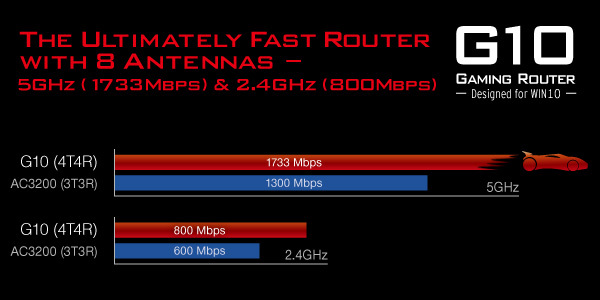 Basically speaking, ASRock Gaming's G10 is a 4T4R router with 8 dipole high power antennas hidden inside the crimson colored irregular polygon. 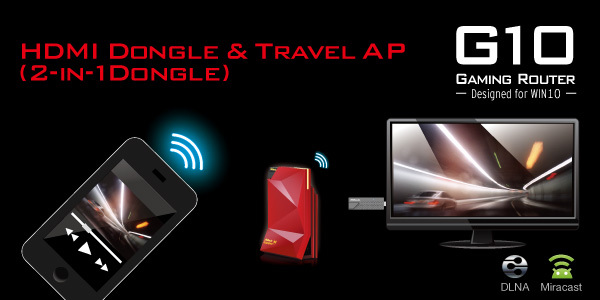 It adopts technologies such as 802.11a/b/g/n/ac, Beamforming, Multi-User MIMO and a lot more. You might be wondering, "but what does that all mean in plain English?" G10 provides the strongest and widest coverage of wireless internet with speeds up to 1733Mbps! Aside from its remarkable performance as a router, it also has plenty of added touches. Firstly, it bears two USB 3.0 ports for connecting printers or building an easy network-attached storage system (NAS). Second of all, it comes with a detachable 2-in-1 dongle that may either serve as a travel access point (AP) or an HDMI dongle with 2T2R 11n WiFi for projecting your handheld device's screen onto an HDMI compliant monitor, otherwise known as Miracasting. To induce even heavier breathing, ASRock Gaming promises advanced IoT (Internet of Things) technology on the new G10 routers. Via the infrared transmitters and receivers hidden inside, it can learn the infrared codes of other devices such as televisions, air conditioners or video game consoles. 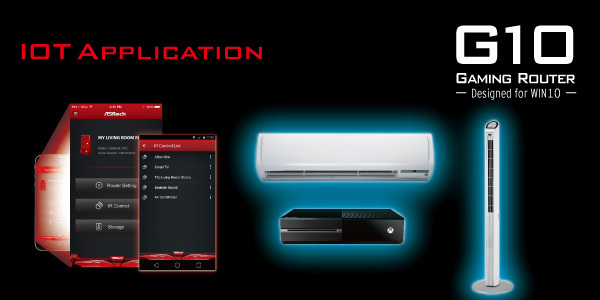 Allowing users to remotely control those aforementioned devices using the ASRock Router APP on a mobile phone or tablet, or even simultaneously streaming and gaming on multiple devices. Lastly, this gaming router supports Gaming Boost natively, which identifies and intelligently manages your internet traffic. Allocating more bandwidth for your online games or video game consoles automatically, so that gamers may have a more stable and smoother gameplay. Unless someone is gaming exclusively on a laptop, and doing in all around the house for whatever reason (or maybe during a gaming convention/meetup, where lots of people want to play at once), I cant see this being the solution for most people. Specially when for static and stationary desktops, a simple ethernet cable will do. This router was the easiest one I've ever set up. Plug in the cables, pull up the interface, and done. streaming 5g video and range was great.... for 3 months. Now, while the 5g shows on all devices, none will connect. 2.4g works fine. I am unable to upgrade firmware from 1.37 to 1.5x either auto or manual modes. Unless I hear back from ASRock... I will garbage can this and take a cheap step backwards. so far.... no response from ASRock. To induce even heavier breathing, ASRock Gaming promises advanced IoT (Internet of Things) technology on the new G10 routers. Via the infrared transmitters and receivers hidden inside.